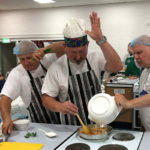 The Scottish Men’s Sheds Association like other international and national Men’s Shed peak bodies realise the importance of having the right insurance that works at a good price for our Member Sheds and the people who use them. We have partnered with Greenwood Moreland Insurance Brokers to deliver just that for you and your Shed! Greenwood Moreland Insurance Brokers are a charity and community insurance specialist broker based in central Scotland. ‘Greenwoods’ has been established for over 40 years and in that time has built a solid foundation of loyal clients thanks to their expertise and understanding within the sector, coupled with old fashioned customer service and a desire to achieve the best value for customers at all times. 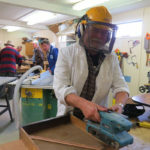 As our Insurance Partner for the Scottish Men’s Sheds Association and its Shed members, Greenwood Moreland are able to provide a bespoke service offering for your Men’s Shed Insurance requirements. Be sure your Shed or Shed Developing Group have a become paid up SMSA Shed member FIRST to get the benefits – £20 per year per Shed/group. Preferential/discounted rates on Men’s Sheds insurance packages for paid up Shed Members (not individual membership). 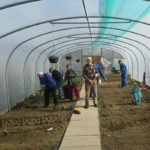 Expert advice (and specific understanding of Men’s Sheds) to assist with creating the right package of covers which matches with your insurance needs. Access to various levels of cover aimed specifically at typical Men’s Shed activities but tailored to match your individual ‘Shed Profile’. Health and Safety and Risk Management information for use by Men’s Sheds including specific guidance if necessary. Once a package of insurance is arranged Greenwoods will continue to manage your account and will be on hand should you need to make any changes or simply ask for advice throughout the year. Crucially, in the event of a claim Greenwoods will be on hand to guide you through the process from start to finish and ensure that you are satisfied with the final outcome. We have trained Elaine to ask you the right questions to make sure you get the correct cover for your Shed and it’s members and as you are a paid up Shed member to get your SMSA Shed insurance discount. or Email her : elaine@greenwoodmoreland.co.uk to discuss your Men’s Shed insurance requirements. Contents – as per buildings definition. Employers Liability – this covers the costs for injury to volunteers and employees arising out of and in the course of your activities (Shedding) e.g. 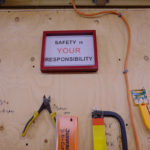 if there was an accident while using tools and machinery or someone suffered a slip or trip in the shed. Public Liability – injury to the public or damage to their property. Would also cover the products/goods supplied (items made by the shedders for sale) should someone be injured by them. Stock – any stock (items the shedders have made) covered for the same as contents and buildings. Charity Trustee Indemnity – covers all trustees should they commit a wrongful act in their capacity as trustees for the group. This could be breach of duty and breach of trust. Buildings – this covers the buildings when the Shed own or are responsible for insuring them through their tenancy/lease agreement. Typical covers are fire, theft, storm, flood, subsidence, accidental damage, impact by vehicles or animals. (There is an extensive list of the covers if you need them – they include things like falling aerials, falling trees, riot etc). For supportive advice even with your existing cover through another company she is happy to look over it for you, to make sure you have the correct cover and are not over or under insured. The SMSA and our partners are here to you support you which creates the time for you to be in your Shed with peace of mind.